My husband has had an interesting couple of years since he started teaching and he is now a sought-after supply teacher in our local area. Below he recounts how he ended up doing supply work, some of the challenges he's faced and why he's never looked back. Supply teaching saved me and my teaching career. There is no doubt about that. I had seriously struggled through my NQT year and it completely put me off teaching before I even got the chance to get a foothold in the profession. I started at a school that was classified as ‘outstanding’. It was also a school I had attended as a pupil, which for some reason made me feel that I was going to the right place to start my teaching career. I’m not going to lie, my NQT year was terrifying, included two OfSTED inspections in separate schools and I would not wish it upon anybody. Somehow, I managed to get through it, but it made me very negative about teaching and I found myself putting others off going into the profession. I completely understood why class teaching was not (and still isn't) an attractive career path for upcoming graduates. I very nearly quit teaching myself. 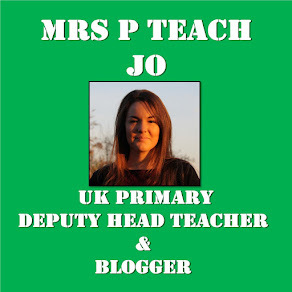 I was in my second year of teaching, I'd left my second school and I was preparing to become a supply teacher. What was I thinking?! Surely, I wasn't going to be able to just turn up on the morning of a school day without knowing what I was doing and teach from someone else’s plans. Was I insane? What about not getting paid if I took a day off ill or not getting paid during the holidays? That would seriously alter our finances. What about my teacher pension? What if I didn’t get much work and ended up seriously reducing our monthly income? I had to consider all of these issues before deciding just to go for it but, ultimately, the choice was taken from my hands and I signed up to all the local agencies and direct with some schools. It didn't take me long to realise that supply teaching wasn't just the final straw for me; it was the job I should have been doing all along. Supply made me see teaching from a completely different angle. It became enjoyable again. I got my life back; I got my passion back. There was no more time slaving away at home to plan for the following day. No writing of reports, planning for class assemblies, assessing children’s work or writing IEPs etc. I went to work, did my job (the most enjoyable part of it – teaching children), marked their books (if there was anything to mark), left teachers notes to tell them about how the day had gone and went home happy! When I got home, I could do things for myself and be a support to my wife. This meant that she was happy too. During my NQT year, my wife barely saw me. To have me back, and for me to be happy, made her happy. As a result, my home life improved significantly. I was back to being the man my wife married. I had been unbearable to live with when I was in a full-time class teaching role. I was depressed and stressed; not a good mix! Now, I can do what I want to do in the evenings and I don’t go to bed at silly o’clock when I have finished what I have to for the next day. Due to being a happier man, I became a better and happier teacher. I was able to have fun in the lessons I taught because I knew that, come 5:30, I would be travelling home and I would have a free evening awaiting me to do whatever I liked. I started being praised by schools I worked at and my agency, who take my bookings. Not only that, but the children I was teaching enjoyed my lessons more. A happier teacher means happier pupils. They were asking me to come back and teach them again, which made me feel ecstatic. When I did go back, they remembered my name! I knew I had made a positive impact on their schooling. I can understand that supply doesn’t suit everybody. Yes, reading plans in the mornings can be hard to do, particularly as different schools have different planning formats. However, you get used to this and eventually, it becomes a lot easier to do. I make sure I am at school around an hour before the children start the day so that I have time to go over plans in my head and prepare for the day. Some teachers leave very understandable plans. Some are there to talk you through the day. Other teachers in the school and especially in the same year group tend to be very supportive. You also learn tricks as a supply teacher that mean even if you don’t understand the plans you can improvise. After all, as long as you don’t freak out and do your best, the children will learn. Sometimes plans can be a little sparse, however from the experience I have gained, I know to have things up my sleeve to call upon if I have time to fill. I can understand it when teachers don’t leave thorough planning because I remember being in their shoes when I was in a full-time role and how hard it can be. I have to factor in that some mornings the call will come at 6:30am but, the majority of days, I am booked in advance and I have the prerogative to say "no" if there is a school which is too far or where I've previously had difficult days. Because of just being able to focus on my teaching without having to think about much else, I have learned so much from supply. I perform better in the classroom because I understand how to engage and motivate children better. I have found myself managing classes better and understanding systems/routines better. My marking has improved, despite having to be much more time efficient due to not being able to take work home. Since starting supply teaching, I have taught all year groups across the primary range. Now adapting between difference key stages, even in the middle of a day, is like second nature to me. I have learned strategies to engage and motivate children of all ages; something that, as a class teacher, it would take years for me to experience. Going to different schools has also helped me enormously. I have realised that not all schools are unhappy places like my first teaching job. A lot of schools do care about the well-being of their staff. Some of them share my philosophy that if the teacher is happy, their pupils are happy (and learn more). Every school is different and it gives me a really good understanding of the different challenges teachers face. It has also meant I have made new friends. Going into different staff rooms and meeting new people is great. Many of the schools I go to make me feel at home to the point at which sometimes I forget I am not actually employed by the school! I have been offered a whole host of jobs by schools I supply at, which really helps my confidence. I know that eventually when I do want to go back into full-time teaching, the opportunities are there. For the time being though, it is easy to resist accepting class teacher jobs because I know I'm in the right role doing supply cover. So, if you are considering supply work or you end up needing to do it for some time, I would highly recommend it. Yes, there are downsides as I've mentioned previously, however there are also a lot of positives. Have a go and, you never know, you might enjoy it as much as I do! This is all very familiar. You're not me, are you? Seriously though, this rang lots of bells and I can relate closely to Mr P's story. However, I still feel slightly embarrassed when I say I am a supply teacher, and have an urge to justify why I do it. Often it's because after saying so I'm immediately asked if I'm looking for a full time position, as if supply will only ever be a stopgap. Mr P - been there, done that and had the T-shirt of the 'Supply Teacher'. I took time out, after about 16yrs full time teaching,and went on Supply - I see it more as a Badge of Honour these days. Many of your experiences ring true with me and I enjoyed the freedom to 'Live as a Teacher' rather than being a robotic humanoid educator..... To teach how I wanted to teach - within certain restrictions. I became a much better teacher, organiser and behaviour management teacher. If I could be so bold to suggest that you have probably always been a good teacher, but just needed to find yourself in the classroom. I changed to become a better Man, Husband, Person before I became a better Teacher - Welcome to your real self and like it as long as you can. Each day is a blessing in your life & profession. I'm a former head. I got fed up of having no life outside of work. Of watching my kids grow up without me and not being there for my partner. I quit and now do a bit of supply as well as some consultancy. I love it for all the same reasons as Mr P. Good on you, you're not alone. A great read. Thanks for writing it. A few questions: What do you need as a supply teacher when you go to a new school? 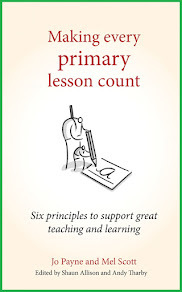 Do schools have a pack for supply teachers with things like break times, a plyground duty rota, discipline policy, etc.? Do you prefer a detailed plan or just the objective and activity? He's already drafted and sent me a blog post about how to make supply teachers happy. I'll let you know when it's up! I am in position were I can finally enter the teaching profession, but it has been such a long time ago(6yr)since I gained QTS that I now have apprehensions. Mainly, because of my age I am doubtful I have the mental energy to see me though that first NQT year, I am near 50. I think supply might be less stressful entry back into the profession. I really would value informed opinions on my dilemma; I am a secondary maths teacher. Supply certainly proved to be less stressful outside of school for my husband. Your situation is very different to his but I would definitely consider it if I were you. I would love to hear more tips about supply teaching such as what to take with you, lessons to have up your sleeve, behaviour management.